Race 8, (last but by no means least) was sponsored by Sharon Berry School of Theatre Dance. Family and friends then sponsored each horse in the race and the winners received a box of chocolates and a bag of sweets. We started with races 1 to 3 as we all queued to place our bets and then cheered on our chosen horses. There was a quick break for delicious pie and peas provided by Stanwood Friery with plenty of Henderson’s Relish then we moved on to races 4 & 5. Time now for a couple of games organised (in a very teacher-like manner) by myself. First, one for the adults: ‘heads or tails’. Everyone stood up and placed their hands on their head or their bottom and a coin was flipped. If they guessed wrong they were out. 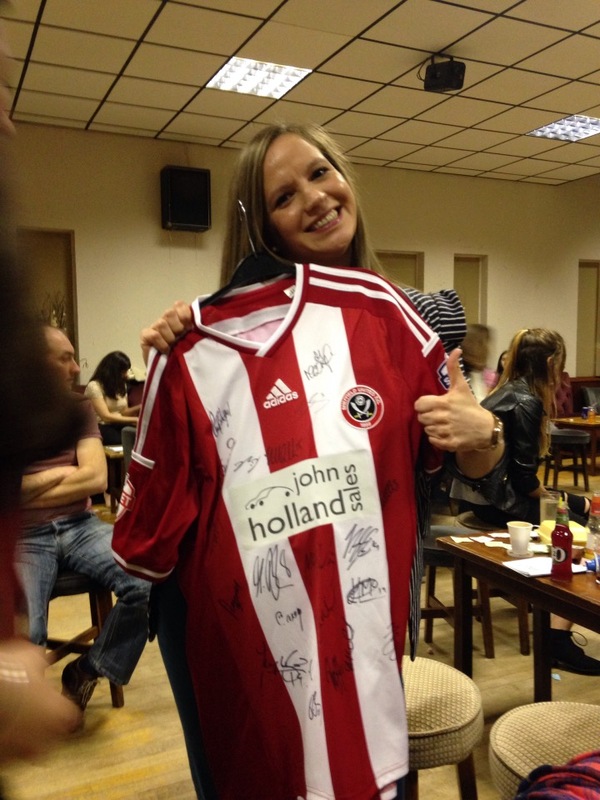 After four rounds we were down to Mrs Berry’s best friend Vicki and former Berry Babe Linzi Thompson with the prize being the choice of a signed SWFC or SUFC shirt. Linzi won and opted for the United shirt. 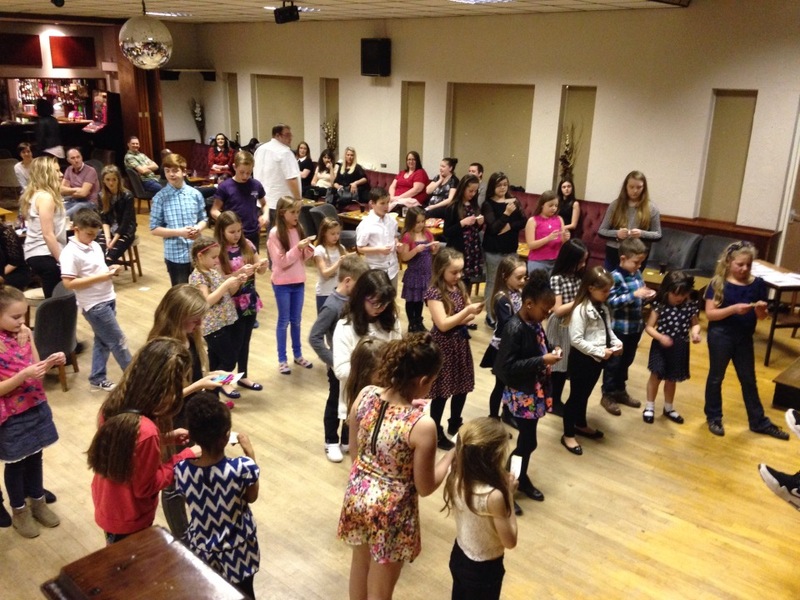 Next it was the kids turn with bingo and the chance to win another fantastic prize of an iPod shuffle. All children had a single bingo ticket and if their number was called they had to sit down, and last person standing was the winner. Another tense finale as we went down to just two – Alfie Wright and Sophie Waterfall, with Sophie victorious. Two more races and then it was time for the auction race. Some very competitive bidding with Jerry Bridger bravely taking on Mrs Berry, I think we all know who won that one!! We would like to thank all who attended, sponsored and participated in the games. 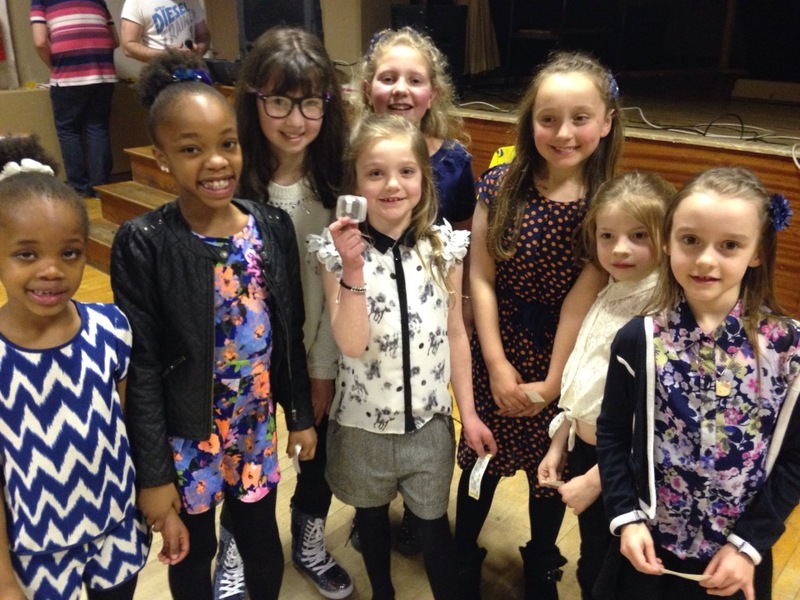 A huge well done to you for helping us to raise another brilliant amount of money. Sharon Berry School would also like to thank Gemma and the rest of the fundraising team for organising yet another fantastic event.